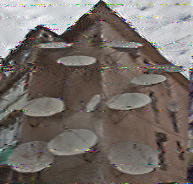 The signal on 17860 kHz was poor this weekend and the images suffered as a result. The interference from Radio Exterior de España on 17855 kHz was also much more of a problem this time. Following a recommendation from Kim Andrew Elliott, I tried switching my Sangean ATS-909 to single-sideband mode and decoding the upper sideband. This did greatly reduce the interference. Unfortunately, my ATS-909 has a tendency to let the frequency drift during single-sideband reception. 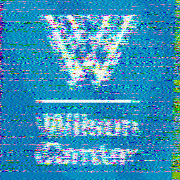 In this case, the frequency drifted enough halfway through the broadcast for Fldigi to stop decoding. I adjusted the tuning for the rest of the broadcast, but not before missing the third image. The signal was strong, although there was a fair amount of atmospheric interference. 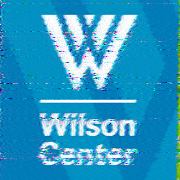 I also decoded the 1930 UTC Sunday broadcast (3:30 PM EDT Sunday) on 15670 kHz. Reception was poor and weakened as the broadcast went on. There were many text decoding errors, especially near the end. 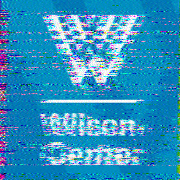 Despite this, the last image (the VOA Radiogram logo) was the best decode of that image this weekend. The picture was a gentle reminder that The Mighty KBC is moving from 7375 kHz to its summer frequency of 9925 kHz starting next weekend.